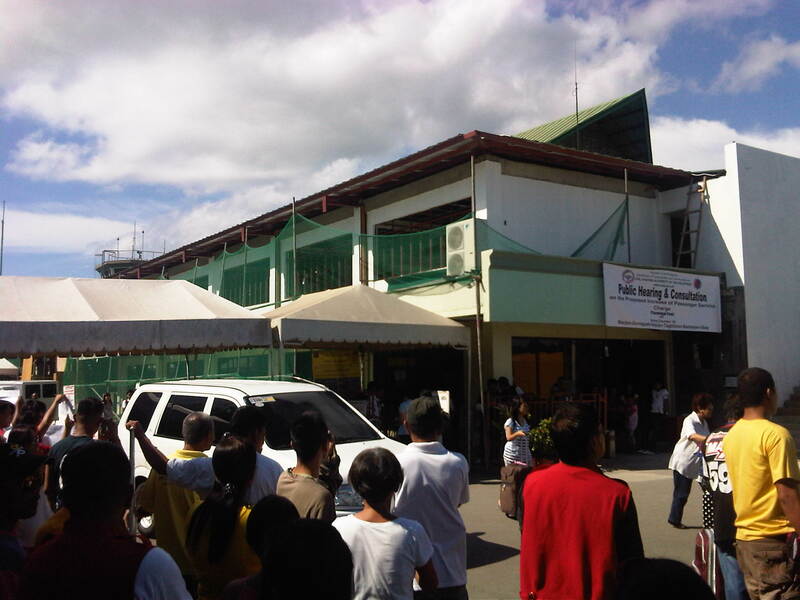 Tagbilaran Airport is the gateway to the province of Bohol and the resort paradise that is Panglao Island. I wrote about the airport earlier but the photos were quite limited as they were somewhat taken more as a matter of coincidence and for souvenirs than for a blog feature on airports. Following are a few photos I consciously took specifically for this post. 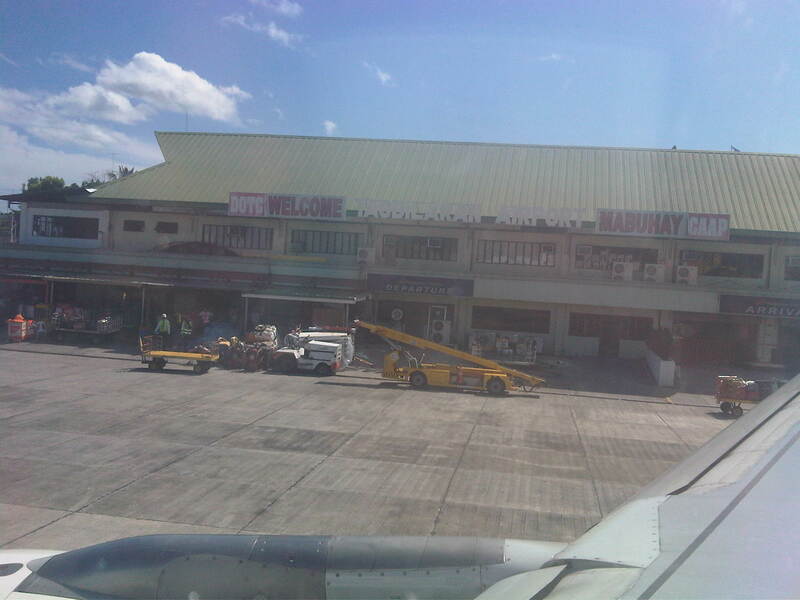 Tagbilaran Airport as seen from our plane that had just arrived. 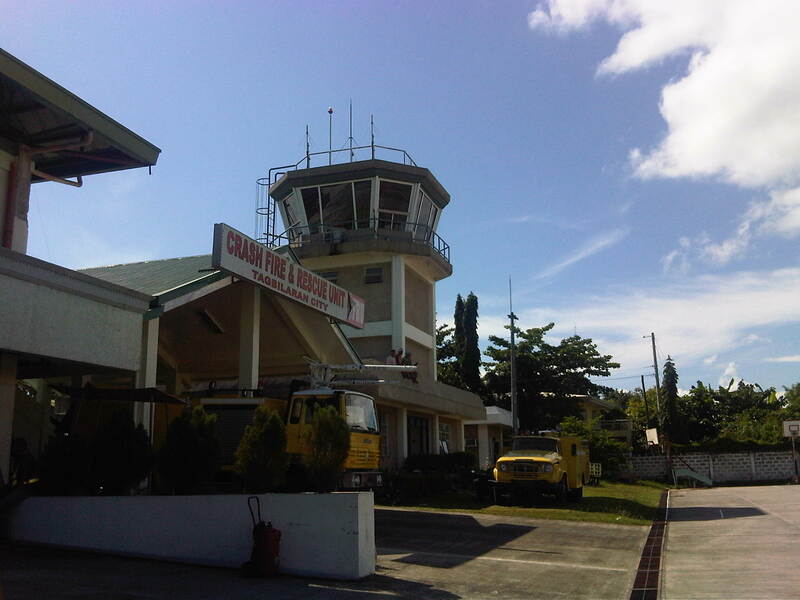 Air traffic control tower and emergency services at the airport. The airport is under renovation with the terminal being expanded to be able to accommodate the increasing number of passengers being handled by the airport. 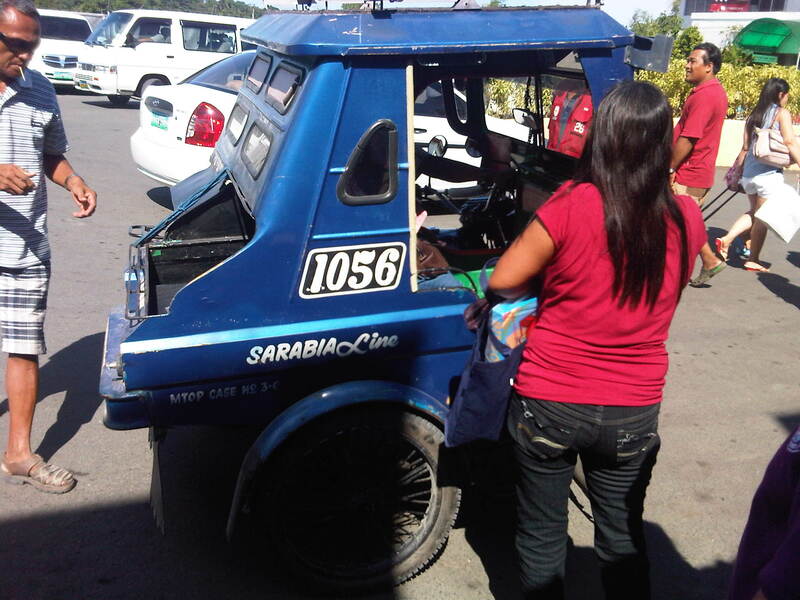 Tricycles are the dominant mode of public transport in Tagbilaran’s roads and others throughout Bohol. Their version of the tricycle comfortably seats 3 passengers including 2 in the cab and 1 behind the driver. The sidecar also features a baggage compartment or trunk in the back. Entrance to the airport terminal – there’s precious little space at the airport for passengers and well-wishers. In fact, parking is very limited and there is usually not enough space for the mix of people and vehicles when a plane arrives at the airport. 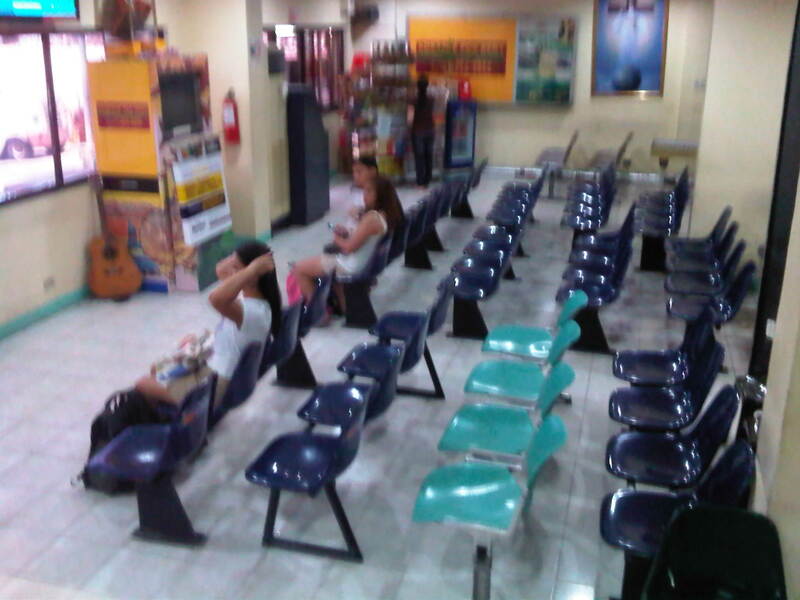 Pre-departure – seats at the ground floor pre-departure area at the airport. There are two concessions from where passengers may purchase refreshments or last minute souvenirs. 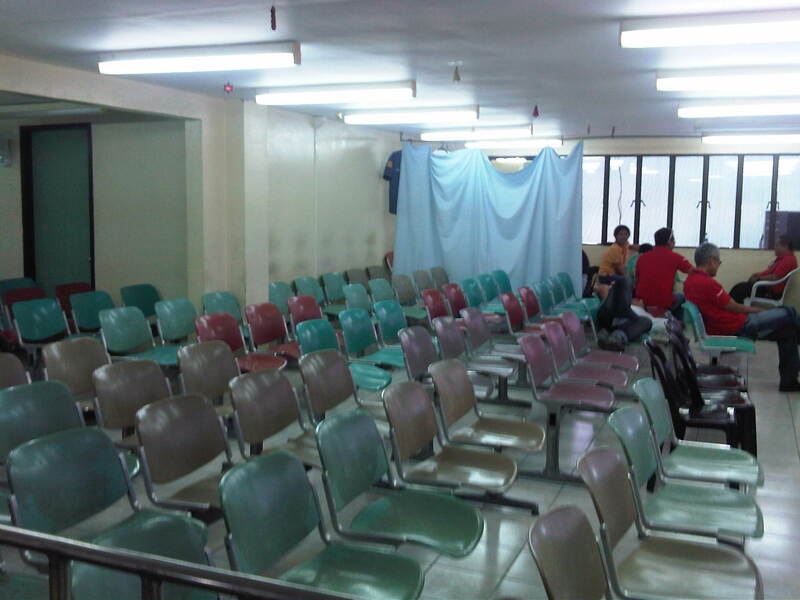 Extension – the second floor is also used as waiting area for passengers. There’s one concessionaire on the second floor and a massage service with blind men as masseurs. 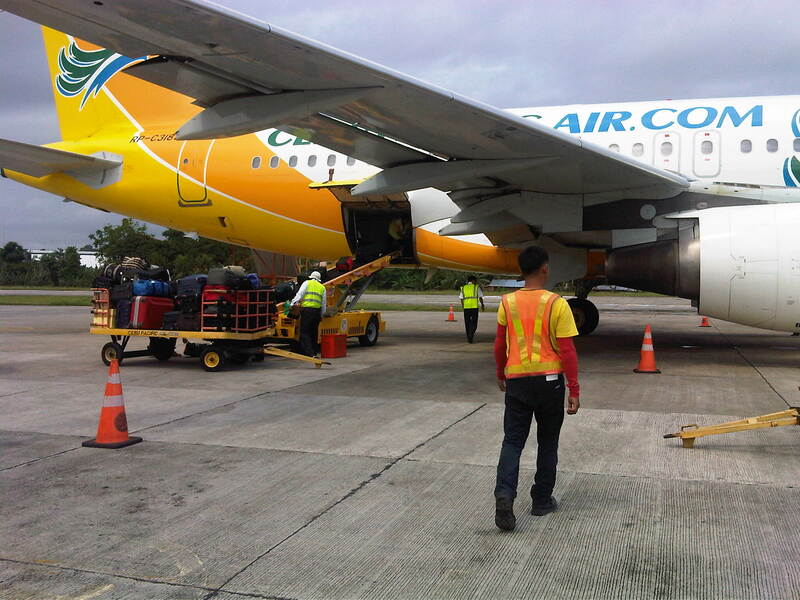 Baggage handling – on the way to board our plane, I took a quick photo of the baggage being loaded unto the plane. 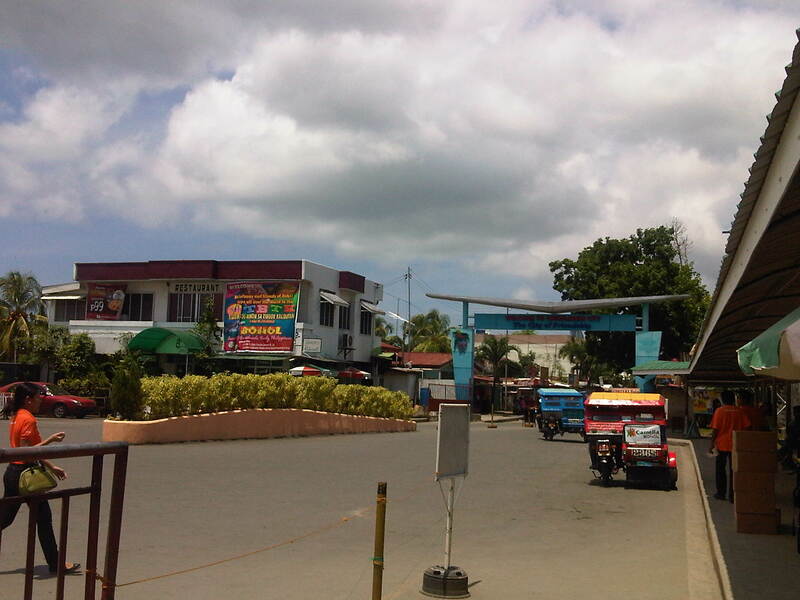 A new airport is being proposed for Bohol as the current one in Tagbilaran can no longer be expanded with the area required for a longer runway and a larger terminal restricted by the surrounding built up area. A new airport is planned to be constructed instead in Panglao Island where it will be closer to the resorts and other attractions that regularly bring in thousands of tourists and perhaps many more should there be a better airport for Bohol. Already, there are many issues being raised against a new airport but then if the project is implemented according to international standards, including those pertaining to the mitigation of negative environmental impacts, then we should expect the airport to be more beneficial to all involved. By d0ctrine in Air travel, Airports, Transport Planning on June 5, 2012 .